Pedham watermill, also knopwn as Petty Mill, is another of Norfolk's lost mills. Pedham is now incorporated within the parish of Hemblington. 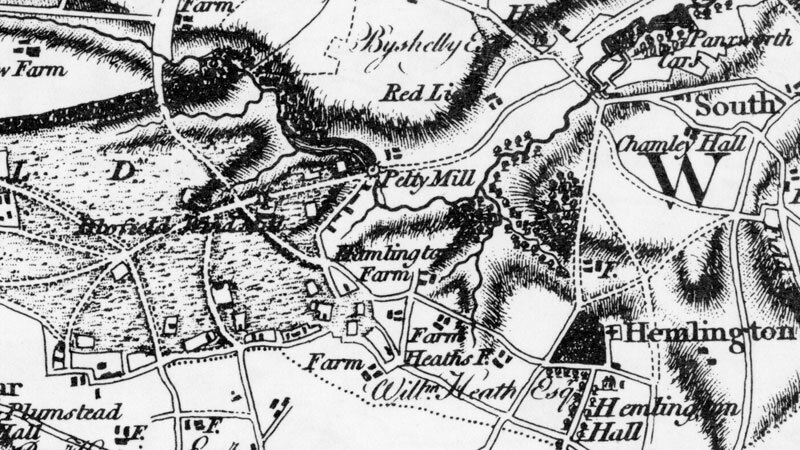 The mill took it's water supply from the overflow of the 10 acre Pedham Lake, shown as Peaty Mill Dam on the 1836 O.S. map. White's of 1845, records a beautiful waterfall at the lake, presumably the site of the mill.